The Mobile Medical Imaging System (MMIS) was unveiled at the China-HOSPEQ 2018. On August 17, 2018, Time Medical as an imaging system and total imaging solutions exhibitor participated in the China-HOSPEQ 2018 which was opened at the China National Convention Center, Beijing. In addition to the 0.35T PICA Open MRI System and 1.5T MICA Whole Body MRI System, Time Medical also proudly presented a newly designed Mobile Medical Imaging System (MMIS-X). 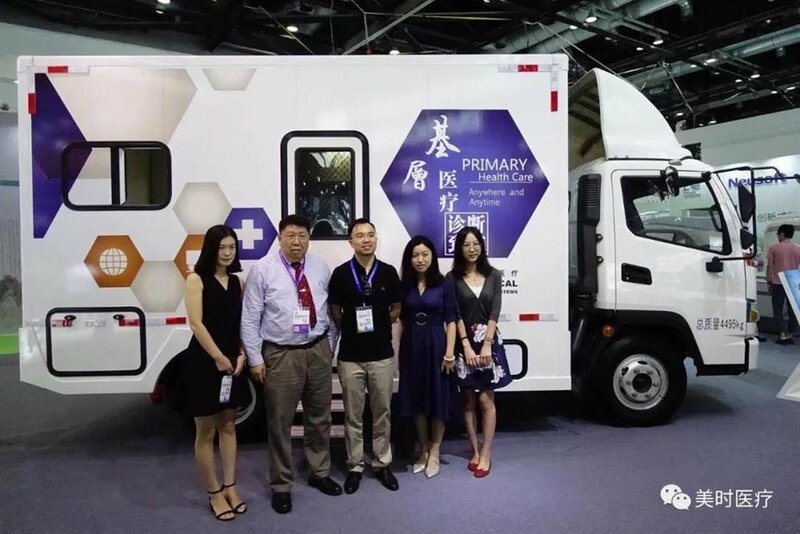 MMIS-X is the first of the kind installed with an automated DR system in a specialized truck which can assist China and the Ministries of Health of Belt and Road Countries to achieve full coverage of medical diagnosis imaging services in remote areas and areas where professional doctors and technicians are limited. Time Medical team and MMIS-X. 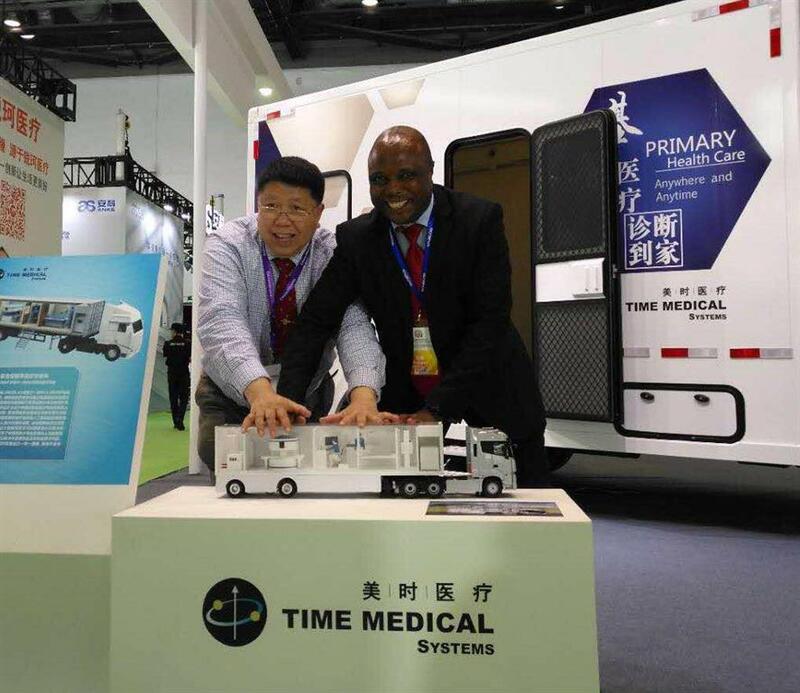 During the exhibition, Chairman of Time Medical, Professor Ma and his team met with the health ministers from more than ten countries in Africa and senior officials from several international organizations. Professor Ma introduced the disruptive technology and innovative products of the company to the guests, especially MMIS-X. The Ministers of Health of Tanzania and Zambia were very interested in MMIS-X and had a detailed discussion with Time Medical team. Professor Ma introduced Time Medical innovative products to the Deputy Director of the National Health and Family Planning Commission of China, Ms. Cui Li, and the health ministers from various African countries as well as the senior officials from other international organizations. Professor Ma and Ms. Ummy Ally Mwalimu, Minister of Health of Tanzania. Professor Ma and Dr. Mzaza Nthele, Director of the Medical Diagnostic Services Division of the Ministry of Health of Zambia. In an interview with china.org.cn, Professor Ma introduced the two other flagship products of Time Medical, Neonatal MRI System (NEONA) and Breast MRI System (EMMA), along with the Mobile Medical Imaging System (MMIS-X). Professor Ma also introduced the vision and the planning of the company to export large medical devices along the Belt and Road Countries and role of mobile medical in those countries. The reporter from china.org.cn interviewed Professor Ma. 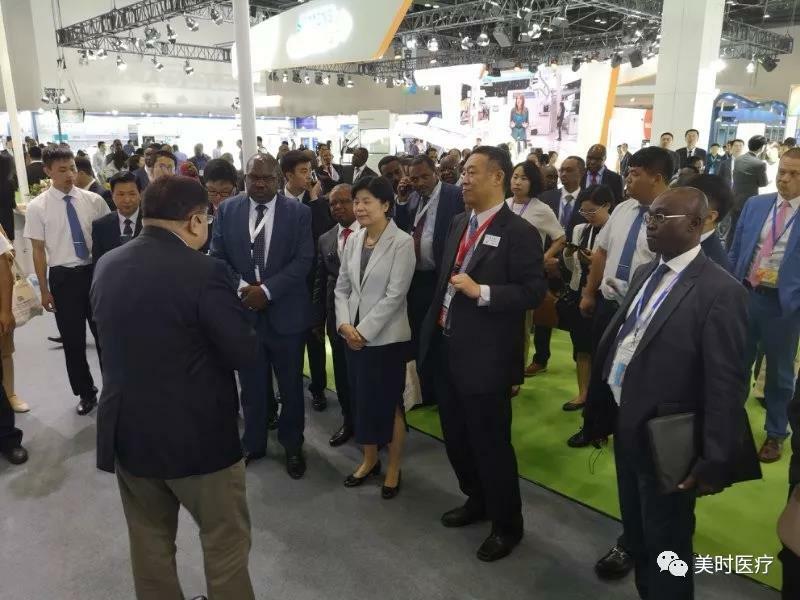 During the exhibition, Professor Ma and the Time Medical team had also met with the senior officials of the relevant departments of the National Health and Family Planning Committee, the Medical Officials from the Belt and Road Countries, the Deputy Secretary General and other officials of the China-Africa Health Cooperation Forum, and the investment banking team from CICC. Professor Ma and the team of CICC. During the HOSPEQ, Malaysian Prime Minister Mr. Mahathir Mohamad, led the relevant Malaysian ministers to visit China. At the invitation by the Malaysian officials, Professor Ma met with officials of the Minister of Trade and Industry of Malaysia and the Director of Investment and Development. 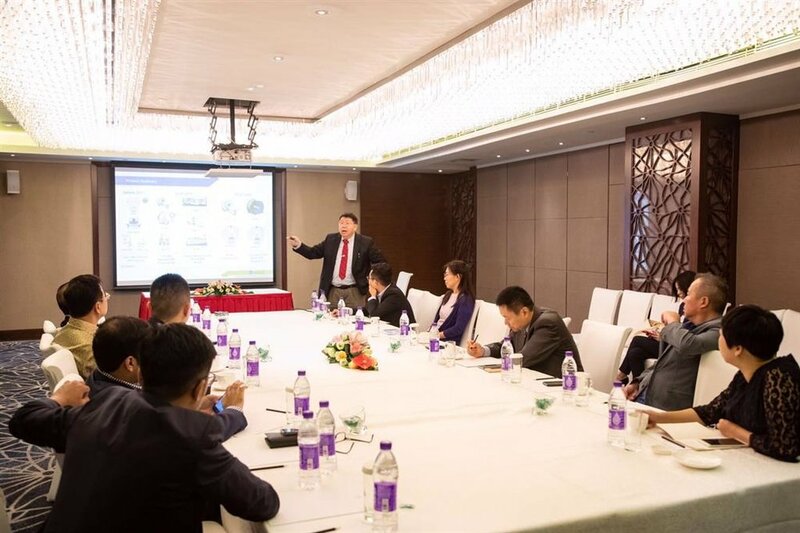 Professor Ma also introduced the mobile concept of MMIS and MMIS-X series products to the senior executives of the Malaysian government. Professor Ma has a discussion with Malaysian government officials and entrepreneur representatives. Johnson Chong, Senior VP of Time Medical, explained the MMIS to the entrepreneur representative from Malaysia. On August 21st, Professor Ma led the Time Medical team to meet with Mr. Charles E. Namondwe, the ambassador of the Embassy of the Republic of Malawi in China. Both parties had a great discussion on the applications of mobile medical imaging system in Africa. Photo of Professor Ma and the ambassador of Embassy of the Republic of Malawi in China, Mr. Charles E. Namondwe.